This Light Award is sponsored by Your Invisible Power, and processed through Kiva.org. Sonja is from Kosovo. She lives in a small village in a Serbian community. She is married and is a mother of four children, ages 9 to 18 years old. All four of her children attend school. Her husband receives a pension from the company that he used to work for before the war. Now, Sonja works together with her husband in an agricultural business. She has been busy with this kind of business for a long time. Sonja and her husband are earning money by working on their neighbor's land. 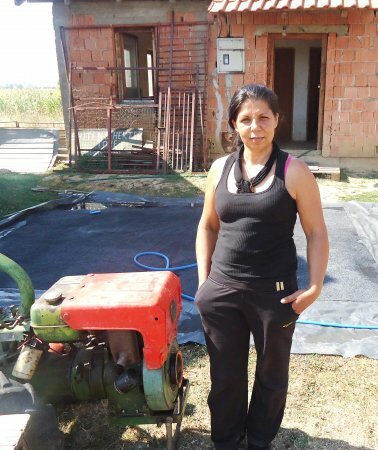 As agriculture is the main source of income for Sonja's family, she is requesting a loan to buy agricultural machinery and tools for working on the land. She is very grateful to KIVA lenders for the financial support given to help her family.